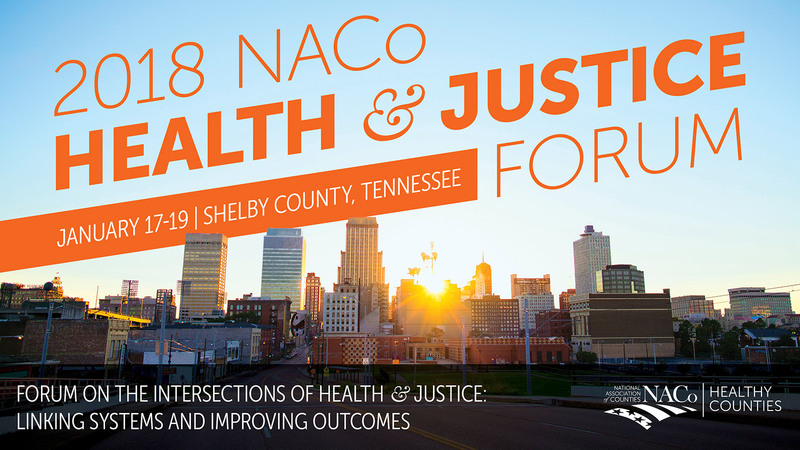 Join the National Association of Counties and your peers January 17-19 in Shelby County, Tenn., for a forum on the intersections of health and criminal justice. This event will bring together county leaders from across the country to learn from each other and experts on prevention, intervention and reentry issues. Session topics will include childhood development and lifelong impacts, substance abuse and mental health issues, data sharing between jails and community service providers, paving a path to successful community reintegration and much more! There is a $100 registration fee for all attendees. For more information or questions please contact Kathy Rowings, Associate Program Director for Justice at (202)942-4279 or krowings@naco.org.